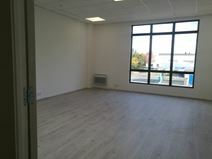 This centre is ideally situated in Bailly-Romainvilliers, with great opportunities for unique office-spaces which can be customised and tailored to suit your business requirements. The offices vary in size and can be booked separately. Meeting rooms are also available, as well as a dedicated WiFi service. 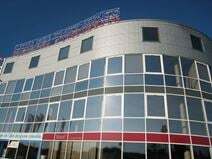 In addition, the building is well situated a short drive from Paris city centre, allowing for employees and guests to commute to and from the building with ease. Using the speed train, it is a short 15-minute journey to Gare de Lyon in Paris. Surrounding the centre are plenty of local restaurants, supermarkets and a fitness centre. Disneyland Paris is also located on your doorstep at this address. Located within a business park, this architecturally impressive contemporary centre has a huge variety of offices available throughout 3 storeys. A vast showroom area is also available and all spaces are fitted out to high specifications. Virtual Office packages are also available. It is cited in the successful business area of Pontault Combault, a short distance from rail stations. Your business can also benefit from the centre's 24-hour access and security, so you can operate at all hours of the day.